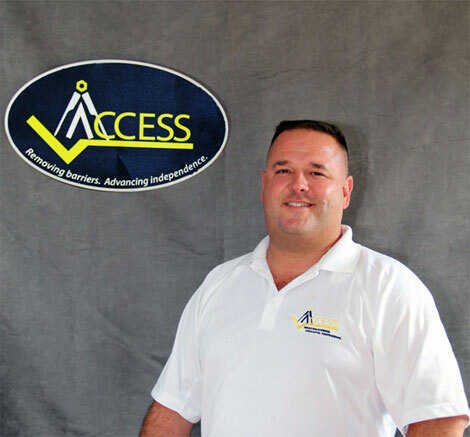 Access Elevator Opens New Company Access Mobility Vans. The Access Family Of Companies Continues to Grow To Better Serve It’s Customers. The Access Elevator Company founded by Jon Tevz over plus 20 years ago is proud to announce another great addition to it’s fine family of companies. Access Mobility Vans specializing in wheelchair accessible vans and trucks. Once again Jon Tevz and his team of caring professionals have added another important product line that gives mobility and makes Access to daily life easier. Access Mobility Vans offers a wide variety of products and services for the last 20 plus years. Access Elevator offers stairlifts in Milwaukee, Madison, Chicago and any all surrounding areas. Offering premium brands like BRUNO stairlifts, Savaria Elevators and lifts, REI home elevators, ramps and more. Access Ability Home Medical Equipment offers a wide variety of medical equipment and remodeling services to make the home more accessible and life more comfortable. Access Mobility Vans specializes in Custom Wheelchair Vans in Milwaukee, Madison, Chicago and all surrounding areas. Specializing in all products and many premium brands like Eldorado Vans. Windy City Stairlifts specializes in Curved, Straight and Outdoor stairlifts. In Chicago and all surrounding areas. Windy City Stairlifts offers Premium Stairlift products from BRUNO. StairliftChicago.com offers Straight, Curved and Outdoor Stairlifts in Chicago and all surrounding areas. Specializing in BRUNO Stairlifts. Milwaukeestairlift.com offers Curved, Straight and outdoor stairlifts in Milwaukee and all surrounding areas. Specialzing in BRUNO Stairlifts. Jon, Congratuations on another great addition to the Access Family of Companies Access Mobility Vans! 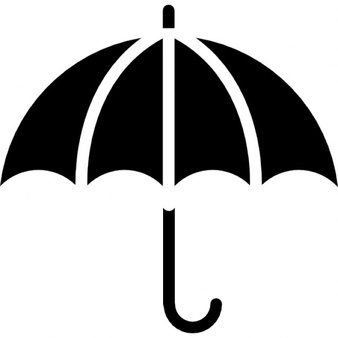 All of your companies offer products designed to enhance and increase mobility and comfort for your customers. Your newest offering takes the next logical step by offering Eldorado and other premium wheelchair van products. After over 20 years Jon what is the secret to your success serving all of your customers with so many diverse products and services so well? Thanks for the kind words. But you know like many hard working business owners, I am dedicated to my customers. My goal in building all of my companies and product lines is to make life easier at home and now on the road with the newest venture Access Mobility Vans. Really its all about enhancing mobility in any way we can for our customers. But to really answer your question, my real secret to success is the team of people I have surrounded myself with from employees to vendors. We carry the best product lines and have a team of caring professionals from managers, installation technicians to administrative people. They all are dedicated to solving customer’s needs and to make them feel as special as they are to us all. www.accessmyride.com is your newest website. But how can customers find out more information about getting into a new wheelchair van in the Milwaukee, Madison or Chicago areas? 1-844-945-4387 or in Illinois1-844-455-4387. Or if after hours, go directly to our website at www.accessmyride.com and send us an email directly from our website and we will call you first thing in the morning. Jon, these new custom wheelchair vans from Eldorado for example are really great looking with very fair pricing and with all the expected bells and whistles. But what about financing any help with that and do you accept trade ins? Our first goal is to always have a conversation and really do our best to listen carefully to what our customer’s needs are. We accomplish this on our first call and then invite our new customer to our place for a test drive. We will happily set up a good time that fits your busy schedule to come on over and discuss all of the details and look at the wheelchair vans in person. We can determine what kind of wheelchair van or even a wheelchair truck as we carry those too is best for your needs. We do accept trade ins and will go over all possible avenues and options for financing and payment. We will make it all easy as possible on you. If need be we can even bring the new van directly to you. We know you have places to go, we will get you there in style and with a caring support staff for on-going maintenance and customer service at your disposal daily. Jon, many of your potential customers are military vets from every branch of service. Do you offer any special benefits to our American hero’s? There they will find a lot of very helpful information and benefits for our valued vets. We will go out of our way to help any of our customers but especially our military vets. Jon, Access Mobility Vans is a very impressive and much needed to increase mobility for your customers in Wisconsin and Illinois and all surrounding areas.With your strong line of products and amazing team of professionals, it looks like you have really created a “one stop shopping” umbrella of companies at The Access Family of Companies. Congratulations on your new venture and the best of luck to you and your team. Thank you very much, as always I am proud of what I do on behalf of my family at home and at work and our valued customers. With the help of the best team of people in the business I am lucky to have, we all look forward to the next 20 + years of serving our customers in all surrounding areas for wheelchair vans, Wheelchair Ramps, Stairlifts, Home Elevators and all medical products.